Highlighters allow for a healthy and enhanced complexion and can be found in three types of formulations. Cream, liquid, and powder formulations are available, depending on your skin type and the look you’re going for. 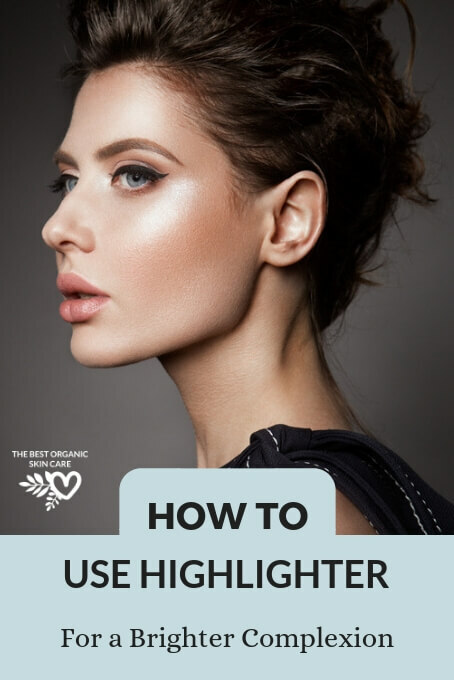 Selecting the right natural, toxic-free highlighter and learning how to use it for best results can be a project of trial and error, but with the help of this article, you’ll know a fool-proof method to put on highlighter like a real beautician. Truly, you can’t go wrong when using a highlighter. When properly applied, highlighters make the skin look plump, supple, and fresh. Even after a rough night of sleep, highlighters have a way of reviving the appearance of skin. Highlighters accentuate your face’s features in a subtle yet attractive way. The saying a little goes a long way is especially true when it comes to highlighters. 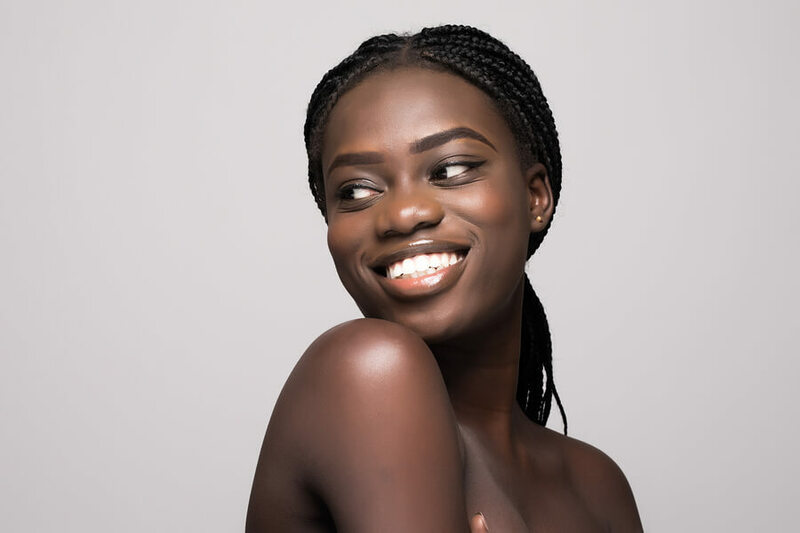 Absolutely anyone can use highlighters and reap the rewards: Upon use, you’ll notice an instant radiance, as if the sun is reflecting off of your skin. Before you dive completely in, however, it’s important to select a highlighter based on your skin type and that gives the effect you’re seeking. Darker skin tones look lovely with rose gold or bronze highlights. Shades to avoid include iridescent and white, as they make the skin appear cloudy. Medium and olive skin tones benefit from bronze and opalescent highlighters as they warm the skin, bringing about a sun-kissed shimmer. Last, fair skin tones should look for highlighter shades in silver, champagne, and pearl. Warm and dark highlighters should be steered clear from as they give too much contrast. Now that we’ve discussed which highlighters work best for your skin tone, you should decide between a powder, liquid, or cream consistency. In many ways, selecting the highlighter consistency best for you depends on your skin type. For dry skin, or for achieving more of a natural luminescent look, opt for liquid highlighters. Blotted on the high points of the face, these highlighters give a vitalizing glow. Cream highlighters are best at building a sculpted, delicate look. These formulations will help you avoid getting more of a dewy finish if that’s something you’d rather not have. Take a look at powder highlighters for something that’s potent and best with oily skin types. Keep in mind that since highlighter powders are so concentrated, it’s easy to over-apply. You can easily achieve an all-over radiance since application can be less precise. 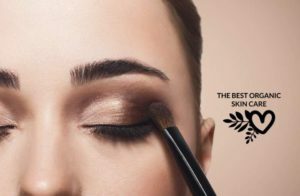 As we’re here to offer you natural, toxic-free skincare and beauty advice, we’ve done research on the best natural highlighters out there. We are happy to say that we have a list of highlighters you can feel good about using as they are The Best Organic Skin Care-approved! As for applying highlighter, it’s important to consider where not to apply it just as much as where you do want to apply it. When you’re applying your highlighter, think about the features you want to accentuate and the features you’d rather not. Since highlighters emphasize whatever light hits them, you want to make sure you’d be comfortable if your highlighter picks up on the features you’ve rubbed it on. Most commonly, areas to avoid include the nose, eyebrow bones, and the apples of the cheeks. Many people don’t want to bring too much emphasis to their noses as they may have an irregular shape or appear too bony or structured. As for the apples of the cheeks, putting highlighter on this area may make the face appear too slim. Again, use the phrase a little goes a long way for direction. You want to be precise and accurate, making sure the product blends in completely. You don’t want it to look like you’re perspiring! Think about where the light naturally hits your face, this is where you want to apply highlighter. The cheekbones are a go-to place to put sheen, as well as the inner eye corners, Cupid’s bow, and a dab on the eyelids. You may also considering applying highlighter to the center of your forehead and chin. If you do, though, be sure not to put too much on—you want just a light sweep. 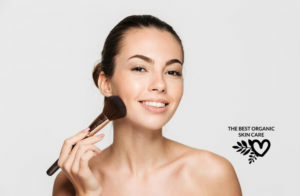 For help on picking the best makeup brushes to use, you can consult our Essential Makeup Brush Guide. In the case that you apply too much highlighter, you can always tone it down by applying foundation on top. Highlighters are offered in cream, liquid, and powder consistencies and in a variety of shades. When selecting a highlighter, it’s best to look at your own skin—its type and tone—for guidance. Highlighters have a way of invigorating the skin, making its complexion have a gorgeous, bouncy sheen. They brighten skin that may otherwise look dull or tired—whether it be from a poor night’s sleep or a stressful period. 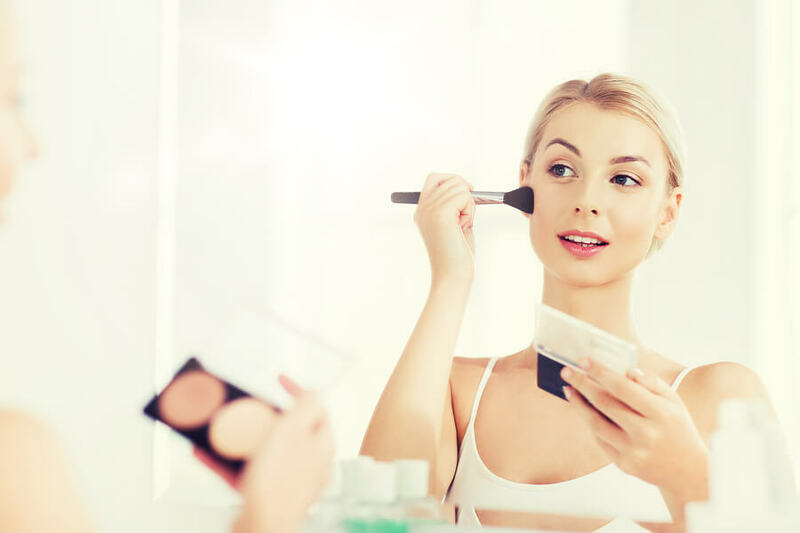 With the assistance of this article, I hope you’ll feel confident in using a highlighter and in finding one that works best for you! Although it may seem intimidating with so many types of highlighters on the market, with a little help, it’s not as scary as it may seem. Remember to head over to our article: 5 Best Natural Highlighters For a Subtle Glow for our top highlighter picks! If you have any questions or comments, please feel free to post in the comments. I’ll be happy to help you out and assist you! And Share this article with your makeup loving friends 😀 We so appreciate it.